Stina Smith is the owner and artistic director of the Jersey Cape Dance and Gymnastics Academy. Mrs. Smith a native of the city of Cape May, received her initial dance training locally and then Glassboro State College now Rowan University. Mrs. Smith continued her dance training under the guidance of many of the top dance instructors, master teachers and choreographers in New York City. Still to this day Mrs. Smith continues her studies as the dance world is ever changing. 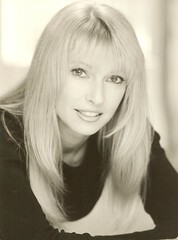 After a successful modeling and performing career, which included print work for international and national magazines as well as runway, featured dancer at Resorts International, the lead role of Cassie in " A Chorus Line" and performing with Bill Cosby, Ben Vereen, and Gene Kelly, Stina returned to her home town to open her own dance studio. From a rented building with a modest amount of students the business has grown over the past 32 years to become the most successful dance studio in Southern New Jersey. In 1997 Dancer Magazine a nationally published dance trade magazine named the Jersey Cape Dance and Gymnastics Academy among the top ten dance studios in the country. In 2002 again another national dance magazine , Dance Teacher Now claimed the Dance Academy among the top 50 schools in the United States and Canada to "watch out for". The studios competition team over the past 25 years of competing has won numerous national awards and recognition for their outstanding work in all areas of dance. Mrs. Smith was honored by yet another national magazine, Dance Magazine when she was given the distinguished Bill Como Award For Excellence for her Holocaust piece "Suffer the Innocence. The New Jersey State Commission of Holocaust Education then backed the piece for its school programming . The Students in this piece have performed and educated on the horrors of the Holocaust and on the importance of tolerance for tens of thousands of children throughout the state of New Jersey for the the past 8 years. Today the video of this award winning piece is still used in classrooms through out the state to educate children on the atrocities of the Holocaust. Many of Mrs. Smiths students have performed for Disney, cruise lines, on Broadway and with National Touring Companies as well as the Radio City Rockettes. Students have also danced back-up for stars like Mariah Carey and Justin Timberlake, as well as dancing on the Oscars, MTV Video Awards, and the Emmy's . Mrs. Smiths students have been seen on National television shows, in 2010 six of her students called the Pixie's were in the top forty of NBC'S America's Got Talent, in 2011 nineteen of her students called “Shore Thing” were seen on CBS in Paula Abdul's show “Live To Dance” and in 2013 another group of her students called “Unity In Motion” were again seen on NBC in the top 48 of America's Got Talent. Kendra started dancing at the age of two and grew up in the dance studio. As a teenager, she received many awards and scholarships, including being chosen to study at the Governors School of the Arts. After high school and a leaving Jersey Cape Dance as a student, Kendra moved to New York City to pursue a career in dance. While in New York she was on scholarship at the Broadway Dance Center where she studied with numerous teachers in all forms of dance. After being in New York for less than a year, she was offered a show at the Hilton Casino and several cruise ship contracts. Kendra decided to stay in New York and kept training while she awaited the phone call from Disney that she was hoping for. That phone call was received and she happily signed a contract with Walt Disney World. During her time at Disney she performed in The Beauty and the Beast stage show and The Diamond Horseshoe Revue. Kendra has also performed in several live shows and industrials for Toyota, Microsoft, Benjamin Moore, House of Blues, and many others. Her dance talents have also been featured on the Regis and Kathy Lee Show and a Disney Christmas Special with Donny Osmond. She can also be seen in the blockbuster hit “Catch Me if You Can”. Kendra has been teaching and choreographing for fifteen years. For the past seven years she has been teaching and choreographing for the Academy’s advanced student and competition team. Her choreography has been nationally recognized. Some of her most outstanding work has been seen on “Live to Dance” and two seasons of “America’s Got Talent”, choreographing for the groups Unity in Motion, Shore Thing, and Pixies Myster’e. One of her most talked about achievements has been her piece Ghost, seen on “Live to Dance”, which has won high score at numerous national competitions. Another noteworthy piece of Ms. Heminway’s, All that Jazz, which has won high score for the past two consecutive years at every dance competition where the team has performed including, Showstopper, New York City Dance Alliance, and On Stage America. Her students have gone on to have very successful careers in the professional dance world such as Radio City Rockettes, Royal Caribbean, and Las Vegas shows. Kendra is also very proud of her former students’ college dance achievements including a graduate of University of the Arts, captain of the dance team at The College of New Jersey, and members of Seton Hall, Monmouth University, Stockton College cheer and dance teams. Ms. Heminway has also used her knowledge as a professional dancer and teacher on the national competition circuit as a judge for several dance competitions. Kendra’s most rewarding part of her career has been sharing a part of her family business. She works side by side with her Mother and Aunt where she gets to share her days with a very special group of young dancers. Kelly Rossi has been a part of the JCD&GA since the age of two taking her very first gymnastics class with Stina Smith. Now Kelly is the Director of Gymnastics at the Academy having trained with some of the countries top gymnastics coaches. Working with a USAG safety certification, Kelly brings an extensive background in the field of gymnastics and cheerleading to all of her students. Teaching all levels of gymnastics , contortion and cheerleading Kelly's classes are full of high energy, fun, and always exciting! 12 of Kelly's students have had the honor of being chosen for the United States Acrobatic Team being highlighted performers at such venues as Madison Square Garden, Walt Disney World and Times Square in New York City with DRA., One of Kelly's students who held the title of Miss Acrobat of the United States 2005 was a featured performer on the CBS morning show. Kelly is extremely proud of her students and their accomplishments, many of which hold some of the countries highest titles, such as Petite Miss Acrobat, Jr. Miss Acrobat and Miss Acrobat of the United States. Kelly's students have competed for two seasons of America's Got Talent and Live To Dance. Kelly is looking forward to many more rewarding years at the Academy , and feels very blessed to call JCD&GA her home. Louise has a diversified background in all disciplines of dance and gymnastics. She received her initial dance education from Stina Smith at the Jersey Cape Dance Center. Louise has achieved expertise in Tap and Jazz having studied with Joe Tremaine, Marcia Lane, Doug Caldwell, Tony Cappola and Barry Lather. Louise has now extended her education to include gymnastics and contortion. Louise has obtained her USAG safety certification. Having the patience of a saint Louise has developed and directed our pre-school program for over ten years, which now includes several advanced pre-school classes. Louise instills the basic fundamentals to all of her students, but most of all she gives her students the love of dance, that will last a lifetime. Working closely with the Academy's National Award Winning Mini Competition Team, Louise's tap choreography has been recognized all over the National Competition Circuit, with numerous awards at the Regional and National Level. We at the Academy credit Louise with being the stepping stone for many of our Academy's alumni who have continued with a career in dance. These students have never forgotten where there passion for dance was first cultivated. BRYCE SOL YERK, HAS BEEN A PART OF THE DANCE WORLD FOR AS LONG AS SHE CAN REMEMBER TAKING HER FIRST DANCE STEPS WITH HER AUNT, STINA SMITH OWNER AND ARTISTIC DIRECTOR OF JERSEY CAPE DANCE AND GYMNASTICS ACADEMY IN CAPE MAY, NJ BRYCE ALSO WAS TRAINED IN GYMNASTICS AND CONTORTION AT JCD&GA AND TRAINED WITH KENDRA HEMINWAY, CHRIS DAVIS, CARRIE LOCKLYN, KELLY ROSSI, MARK MARINO, SKY HOFMAN, RAY LEEPER, AND SHELIA BARKER. BRYCE CONTINUED TO FURTHER HER DANCE AND GYMNASTICS TRAINING WITH CLASSES AT THE PRESTIGOUS BROADWAY DANCE CENTER AND RIPLEY GRIER DANCE STUDIO IN NYC. DURING BRYCE YEARS ON THE COMPETITION CIRCUIT BRYCE HELD SUCH PRESTIGOUS TITLES AS MISS ACROBAT OF THE UNITED STATES, MISS DANCE OF NEW JERSEY, AND WAS ALSO A MEMBER OF THE UNITED STATES DANCE AND ACOBATIC TEAM. BRYCE HAS WORKED AS A PROFESSIONAL PERFORMER FOR THE MISS AMERICA PAGENT AND ALSO WORKED FOR THE WORLD FAMOUS NEW YORK KNICKS WITH THEIR ACRO-BREAK SHOW. CURRENTLY BRYCE IS A STAFF MEMBER AT JERSEY CAPE DANCE AND GYMNASTICS ACADEMY TEACHING ALL FORMS OF DANCE AND GYMNASTICS. BRYCE IS CERTIFIED WITH “USA GYMNASTICS” AS A SAFETY CERITIFED GYMNASTICS COACH. BRYCE SPECIALIZES IN ALL FORMS OF CONTORTION HAND-BALANCING, CONTORTION PARTNER WORK, AND THE HAND-BALANCING KANES. THIS PAST SEASON BRYCE WAS PART OF THE JCD&GA STAFF THAT TOOK 19 STUDENTS KNOWN AS “SHORE THING” TO HOLLYWOOD TO BE A PART OF THE NEW CBS TELEVISION SHOW WITH PAULA ABDUL “LIVE TO DANCE” BRYCE GOT TO WORK WITH PAULA ABDUL AS WELL AS WORLD FAMOUS CHOROGRAPHER TRAVIS PAYNE AND KIMBERLY WATTS. BRYCE ‘S STUDENTS HAVE ALSO BEEN SEMI-FINALISTS ON TWO DIFFERENT SEASONS OF THE NBC SHOW AMERICAS GOT TALENT. NOW BRYCE IS LOOKING FORWARD TO FINISHING HER COLLEGE EDUCATION AT STOCKTON UNV. WHERE SHE IS MAJORING IN ELEMENTRY EDUCATION . Megan Hunter began her dance training at the age of 3 at JCD&GA, taking her first dance class with Stina Smith. In addition to Stina, she had the privilege to learn and study under Louise Marshall, Annika Nash and Kendra Heminway and credits her success in dance to their unwavering dedication to their students and their love for the art form. During her 15 years at the Academy, Megan studied all genres of dance and was able to travel and perform with JCD&GA"s national award winning competition team. While on the competition circuit she was chosen for the United states Dance Team and performed in times Square and Disney World among others. Throughout high school Megan participated Musicals as well as the Miss New Jersey Outstanding Teen program. Megan continued to study as a Dance Major at Rutgers Mason Gross School of the Arts where she expanded her education to include Modern genres as well. In 2008 after graduating high school, Megan began to pursue her life long dream of becoming a City Rockette. She auditioned and was accepted into the Rockette Summer Intensive training program. Megan continued participating in RSI doe four more years,advancing from trainee, to scholarship winner and eventually to Rockette Assistant. In 2012 Megan's dream was realized when she became a Radio City Rockette for the touring production of the Christmas Spectacular. In 2013-2014 Megan had the privilege of dancing on the great stage at Radio City as a Rockette in their New York Christmas Spectacular. Christine has loved dancing since the first time she took her first dance class when she was 3 years old. Christine trained with Stina Smith, Annika Nash, Kendra Heminway & Kelly Rossi at the Jersey Cape Dance and Gymnastics Academy from age 3 to 18. She has traveled all across the United States competing in numerous competitions like ShowStoppers & ShowBiz. During Christine’s time on the competition circuit she was chosen to be a member of the United States Dance Team. Christine has continued her dance education at the Broadway Dance Center, and at many dance conventions such as Jump and Pulse with renowned dancers and choreographers such as Mia Michaels, Dee Caspary & Ray Leeper. She now attends Stockton College where she has studied ballet technique with Henry Van Kuiken. Christine specializes in Jazz and Hip Hop, but has studied all areas of dance and gymnastics. She has been a staff member at the Jersey Cape Dance and Gymnastics Academy since 2009. Recently, she and Bryce are responsible for the Rising Stars Performing Arts Team at the studio. The Rising Stars perform at numerous community events. Christine strives to instill her passion for dance into her students, and hopes that they find her teaching technique fun and inspiring. Jamie has been a part of the JCD&GA since she was 2 years old. She was trained by Stina Smith, Annika Nash, Kendra Heminway and Kelly Rossi in all styles of dance and gymnastics. Jamie joined the JCD&GA national team at the age of 4 years old and traveled to Las Vegas, Nevada for her first competition when she was 5. Throughout her days on the competition circuit she won many regional and national titles such as ,Petite Miss On Stage America, Jr Miss Acrobat of the United States and Senior Miss On Stage America. Jamie was a part of the United States Dance and Acrobatic team for two years in a row and performed at Solstice in Time Square and the Half Time for the New York Knicks at Madison Square Garden. In 2011 Jamie was a part of the group "Shore Thing" that made it to the top 18 of Paula Abdul's CBS television show "Live To Dance". The next year she competed across America on NBC's hit show "Americas Got Talent" with the group "Unity In Motion". Jamie has continued her dance education at eh prestigious Broadway Dance Center, and at dance conventions such as Jump, Pulse, Wild, NYCDA, ASH and most recently Radix. Currently Jamie is on staff at Jersey Cape Dance and Gymnastics Academy. She teaches all forms of dance and gymnastics She works closely with the Mini and Jr. National team and recently won her very first choreography award at Revolution Talent Competition for her number "Burn It Up". In addition to teaching at the studio Jamie has picked up Photography. She love showcasing a dancers talent through her images. Recently her photo of national team member Angelina Aliano was featured in Dance Spirit Magazines ' Future Stars" article. Look for her work under Jmdancephotos. Jamie feels very blessed to be a part of such a special community, and looks forward to many more seasons at the Academy. Elena came to the United States of America nine years ago from Kyrgyzstan, where she was head of the Dance Department in Karakol City and certified Physical Therapy Technician. She has also served as a Choreographer Instructor with pre-school children and a coach of Rhythmic Gymnastics at several different schools throughout Kyrgyzstan and the Russian Federation where her students have achieved multiple honors. The last eight years here in America, she has spent teaching contortion at Jersey Cape Dance & Gymnastics Academy. Elena enjoys sharing her attributes, and her time, working with the young students at JCD&GA.